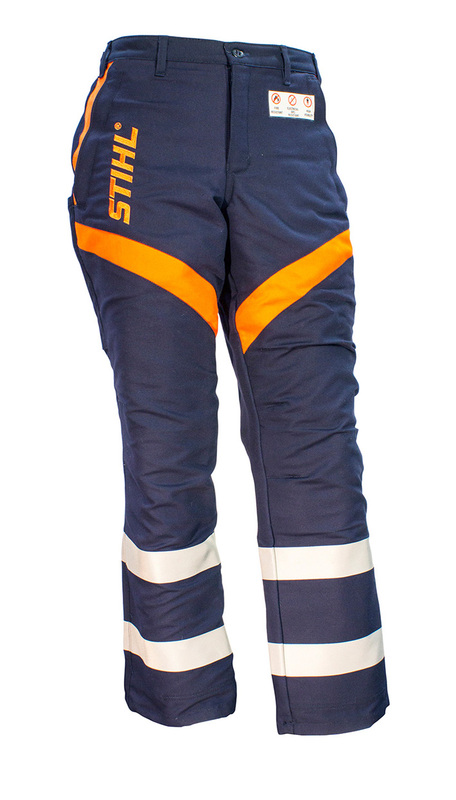 In addition to delivering maximum protection from chainsaw cuts, the all new Government & Utility chaps and trousers have been specifically designed to exceed the latest Electrical work PPE standard ENA NENS 09-2014. Fire resistant / electrical arc thermal protection featuring six layers of advanced hi-tech cut resistant fabric that provides enhanced protection from chainsaw injuries. Suited for the professional user working where there is risk of fire or other thermal hazards. Fire retardant treated cotton / nylon outer material for protection from thermal hazards, flame retardancy of the fabric meets requirements ASTM F1506. Metal free, low conductivity design meets ENA NENS 09-2014, high visibility reflective leg stripes compliant to AS/NZS 4602.1:2011. Fully washable at 40 degrees.